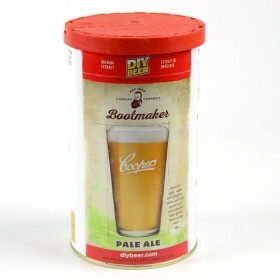 A pale straw coloured beer with a bold, spicy Saaz hop aroma. 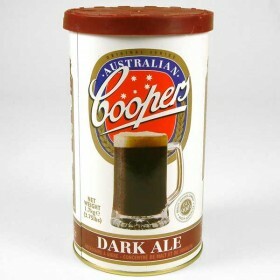 Crisp and dry with cleansing bitternes..
Rich mahogany colour and a creamy head. 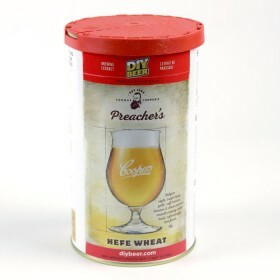 Roasted malt aromas with a hint of chocolate, generous mouth..
Lager Home Brew Concentrate (1.7kg) Straw colour with golden hues and a lacy white head. Light flor.. 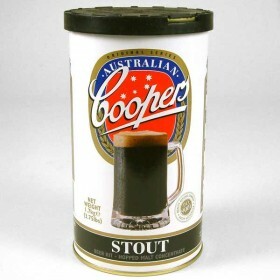 Dark brown colour with a persistent head resembling espresso creamer, a blend of coffee, chocolate a.. 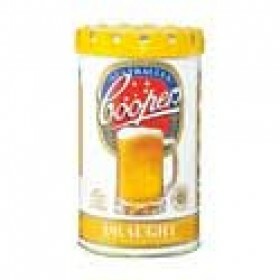 Deep golden-copper colour with a creamy white head. 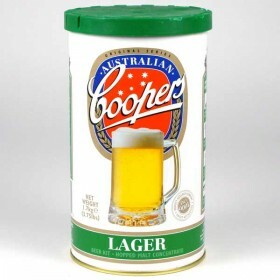 Overt fruit and malt aromas, a full bodied palat..
Thomas Coopers 86 Days Pilsner (1.7kg) - Takes just 10 days to make !! 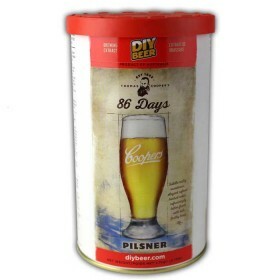 Thomas Coopers 86 Days Pilsner (1.7kg) - Takes just 10 days to make ! 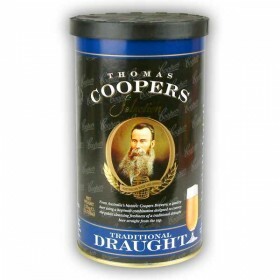 !Thomas Cooper, his wife Ann an..
Thomas Coopers Brew A IPAThomas Cooper’s first recorded brew was designated brew “A”. 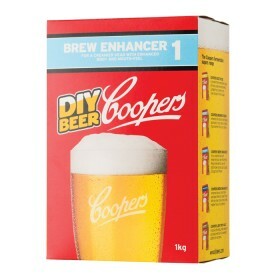 According to h..
Coopers Beer Kit Enhancer Number 1 Used to improve the Body and flavour of any beer kit. 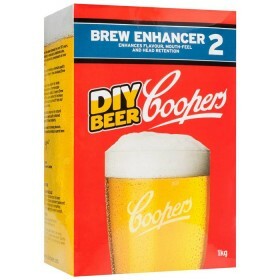 Also ..
Coopers Beer Kit Enhancer Number 2 Used to improve the Body and flavour of any beer kit. 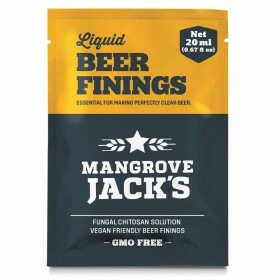 Also ..
A new beer kit in the coopers range Coopers Devils Bootmaker Pale Ale Beer kit Makes 40 pints ..
A new beer kit in the coopers range Coopers Preachers Hefe Wheat Beer kit Makes 40 pints ..
Use these new Mangrove Jack’s beer finings to add clarity to your brew. 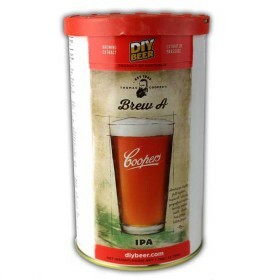 Simply pour into your wort r..